Design Shanghai is Asia’s leading international design event, breaking new ground and setting a precedent in Asia’s ever-growing design community. Showcasing the best design brands and galleries from across the globe, Design Shanghai provides a unique and exciting platform to network, exchange and establish long-term business relations with Asia’s top architects, interior designers, property developers, retailers, collectors and private buyers. Design Shanghai aims to explore how eastern and western design philosophies can work together synergistically across the five halls: Contemporary, Classic & Luxury, Collectibles, Kitchen & Bathroom and Workplace. The event also features bespoke installations, an inspirational design forum and exciting networking events. 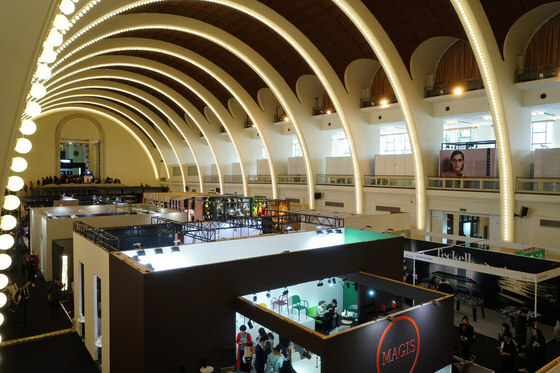 Design Shanghai has fast earned its position alongside the most established design events in the world, and become one of the must-see events in the international design calendar.